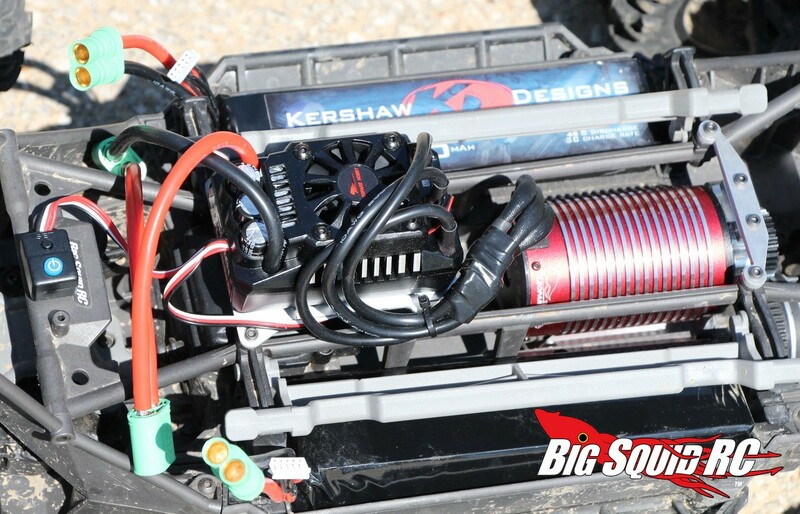 Review – Kershaw Designs Traxxas X-Maxx Brushless/LiPo Upgrade « Big Squid RC – RC Car and Truck News, Reviews, Videos, and More! 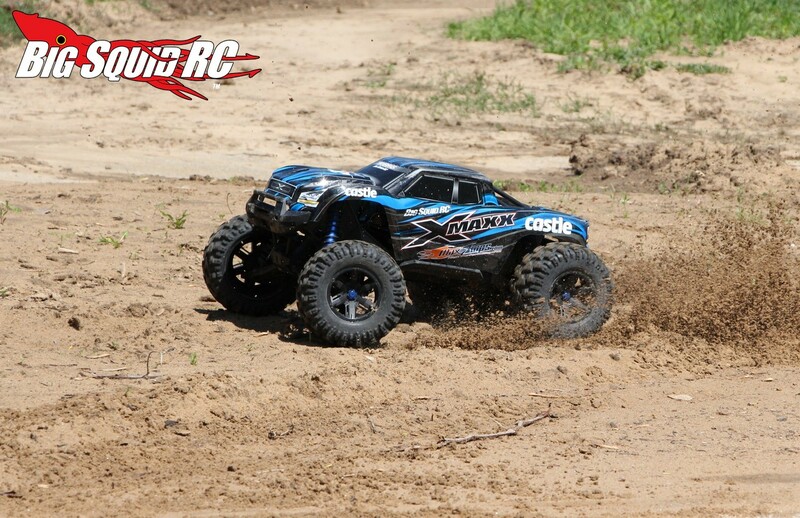 Hey, in case you didn’t get the memo, the Traxxas X-Maxx is a big deal now days, not only in size but in the way it has taken off with the bash crowd. 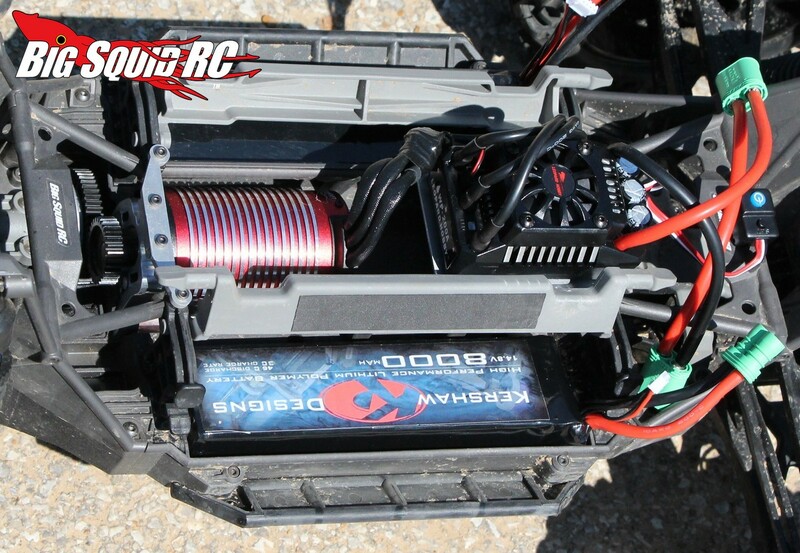 The X-Maxx pretty much rocks out of the box, with one exception, a watered down power system. 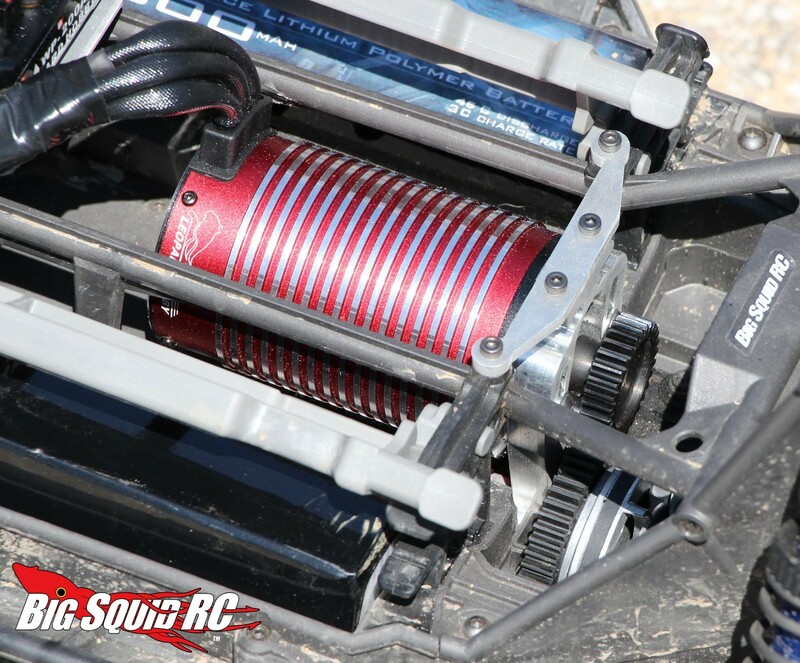 While the stock brushless system has decent power, it is nowhere in the realm of craziness that an E-Revo or Savage on 6S can provide. 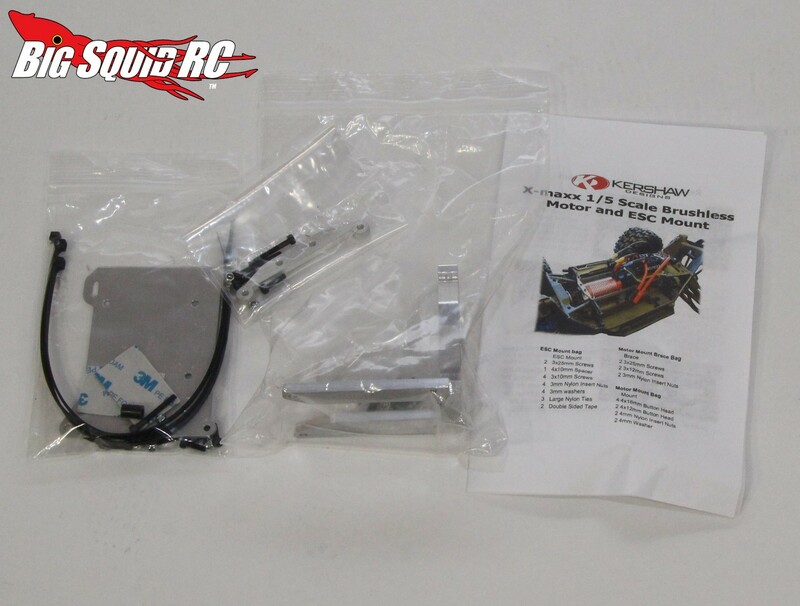 Set-Up Notes: We took a bone stock Traxxas X-Maxx and started ripping the stock parts out to make way for all the Kershaw goodies. 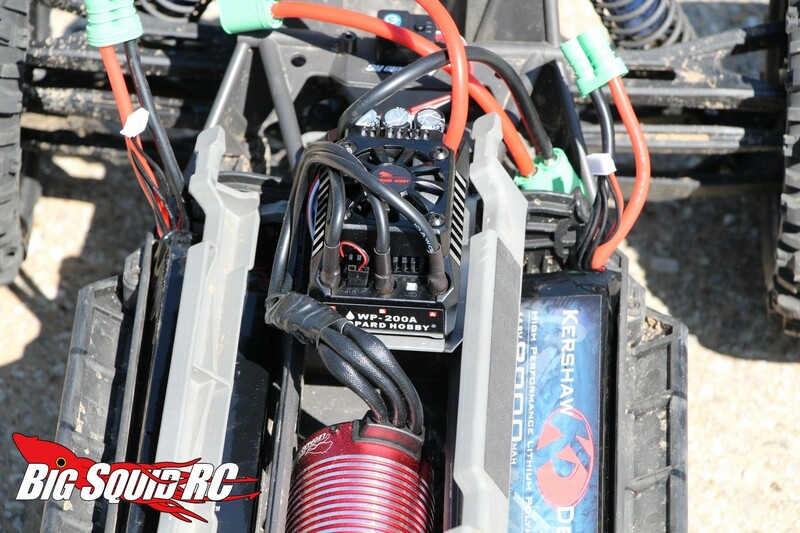 We used 6.5mm Castle Creations connectors for maximum amp flow and a Hitec X1 Pro to handle all the charging duties. Btw, we did change one more thing, we used a Futaba 4PX to control the beast. Oh and yes, the Kershaw LiPos are 4S each and we had a pair, so they were wired at 8S for plenty of voltage to the brushless system. Ease Of Use: We didn’t have any issues with the install. Sure, it was a bit on the custom side and we did cut away a plastic piece here or there, but overall it didn’t take a lot of crazy modding to make anything fit. 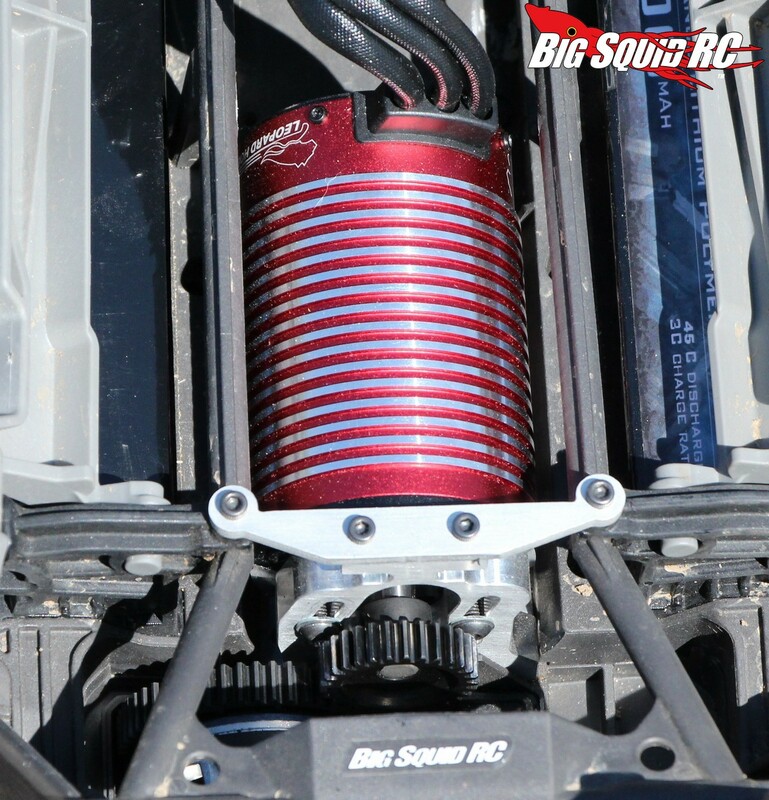 While the LiPos were a tight fit, they did go right in after removal of the foam spacers at the end of the X-Maxx’s battery trays. 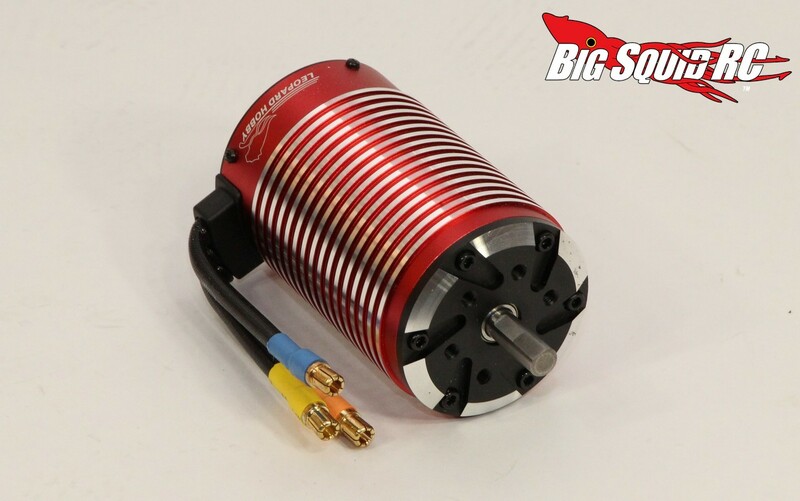 The motor bolted up with no issue, but because of the size of the pinion, mesh could not be adjusted with the pinion on, which takes up some extra time. 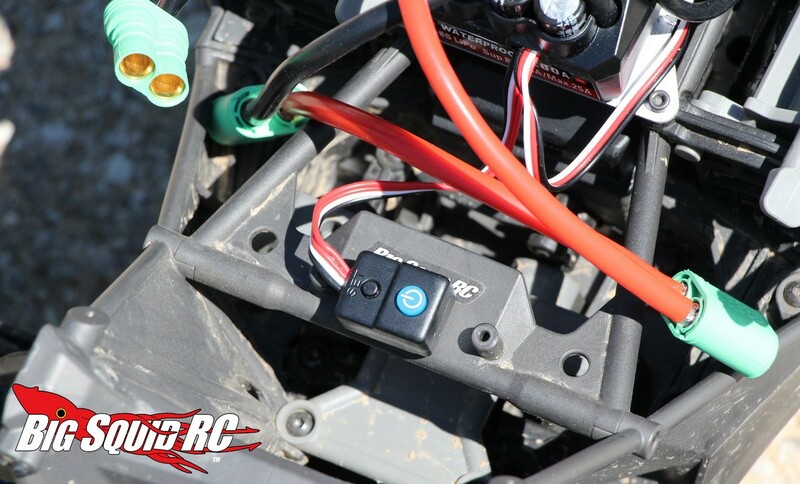 Our only real beef with the install had to do with the bullet connectors on the motor, they were a smaller diameter than what is required to plug into the ESC. We had to unsolder the bullets from the motor wires and install large units (which were included). Power: We will get right to what all of you really want to know here, the Leopard/Kershaw system is the fastest we have tried in the X-Maxx. In fact, it is just plain stupid fast. 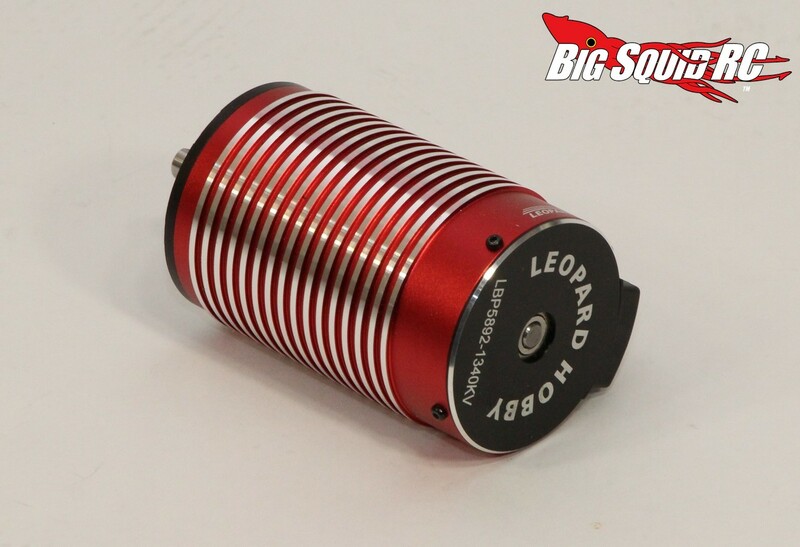 8S of Kershaw LiPos teamed with the 1340kV Leopard motor gave us absolutely insane power. We measured a top speed of 46 mph, but that isn’t its real top speed. How is that possible? 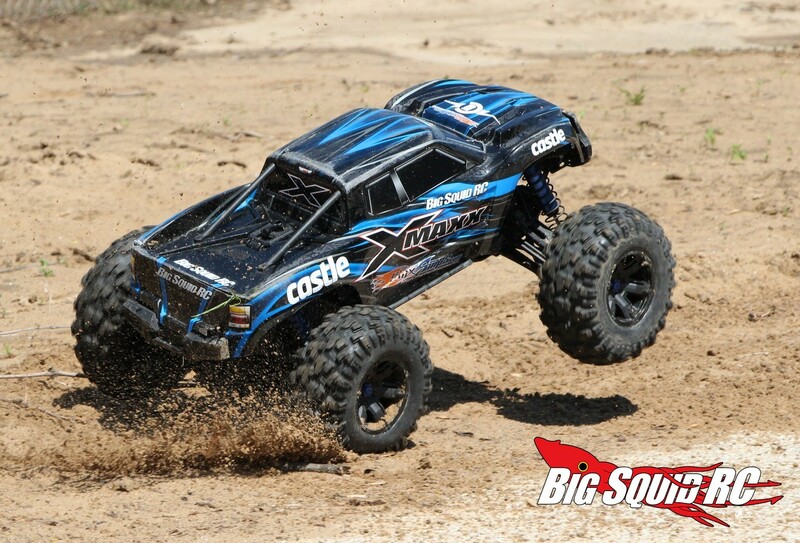 Because the stock tires on the X-Maxx were such pizza cutters at 46 that we simply were unable to ever give the truck full throttle in a straight line speed pass. And yes, the Leopard/Kershaw set-up has crazy power from a dead stop. We could wheelie-out the truck at any speed, even at 46 mph it was just a squirt of throttle away from being on its roof. 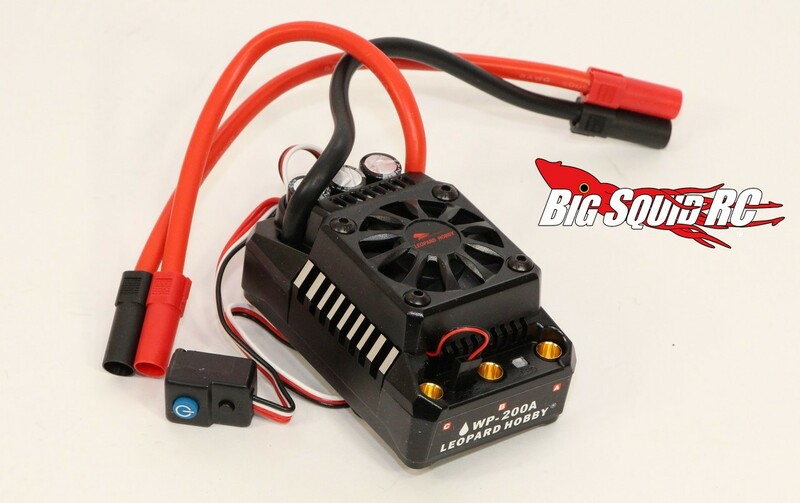 To boil it down, the Leopard/Kershaw power system put out more power than the X-Maxx has any chance of putting down, much like running an E-Revo on 6S. How It Drives: What is it like to drive the Kershaw X-Maxx? Well, you better wear your big boy pants because it is a straight-up animal. 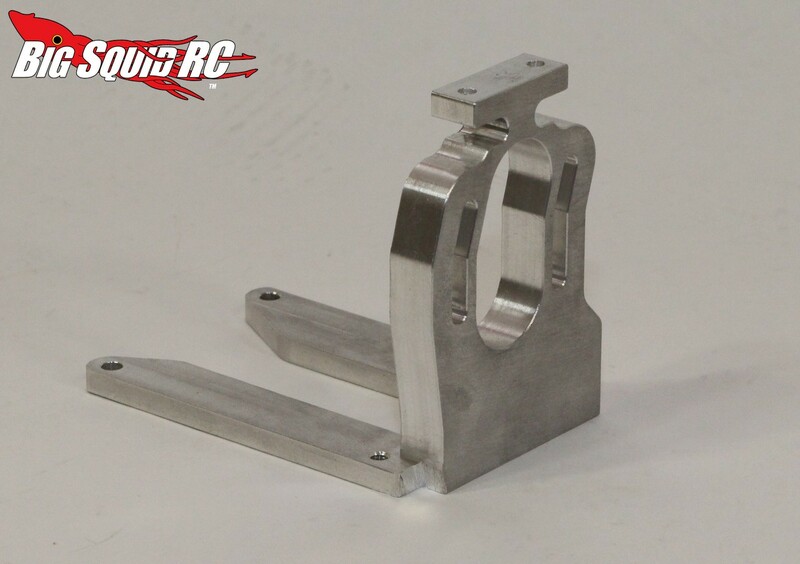 The ESC isn’t quite as smooth from a dead stop as some of the others on the market, but feels plenty smooth through the mid-range and into the top-end. Literally, we never got a chance to tag it full throttle because the truck (mainly its tires) just couldn’t handle it. 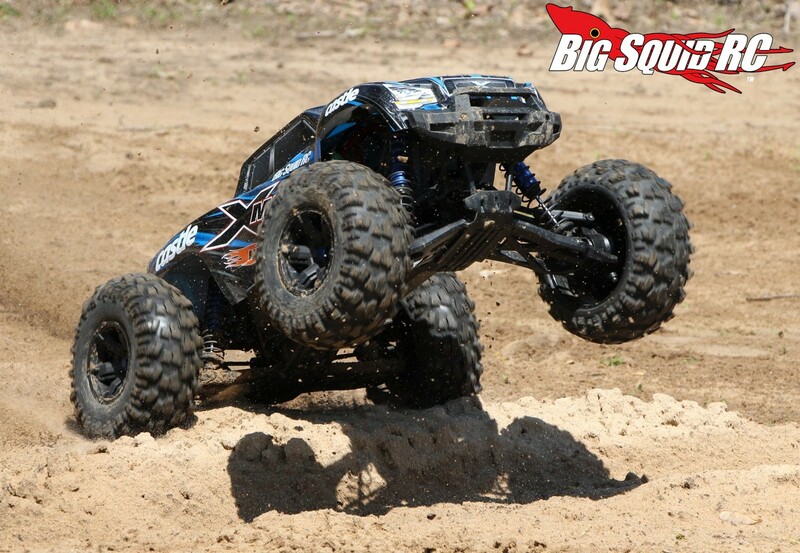 The truck was virtually impossible to drive above 3/4 throttle, which is an awesome thing for gnar-core bashing! 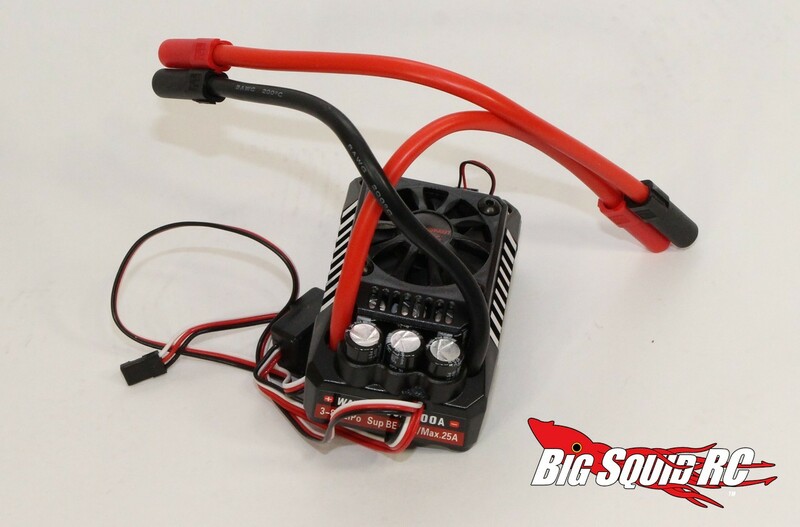 Downsides: If you’ve had problems keeping your X-Maxx together on the stock power system, you are really going to have a problem once all the crazy power of the Kershaw hop-ups are installed. We broke a lot of parts because of the overwhelming power of the Leopard/Kershaw system, prepare to buy a lot of spares. Durability: While the truck broke like crazy, we didn’t break any of the Kershaw hop-ups during testing. 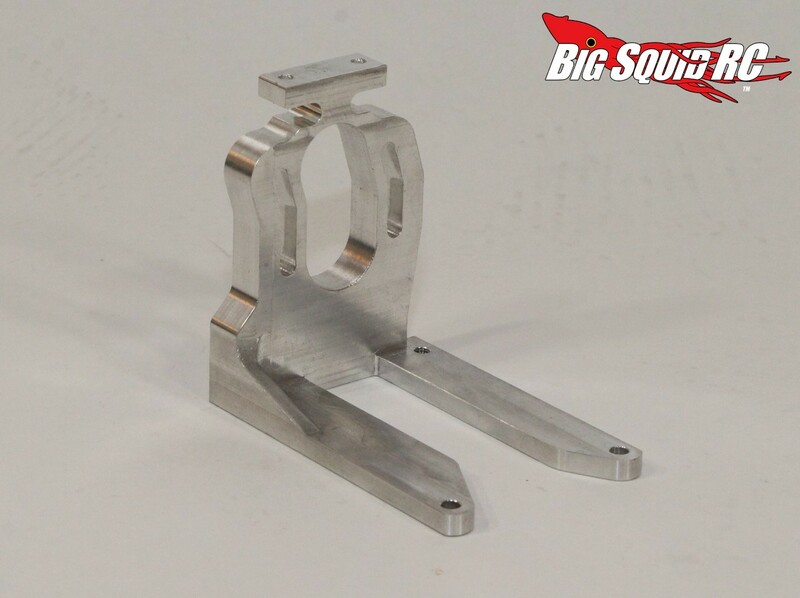 The motor mount was rock solid and did not bend and the huge pinion showed very little wear. As far as the electronics go, they are all still alive today and they ran at very moderate temperatures, even when bashing in modestly tall grass. So there ya have it, we experienced no issues with the Kershaw gear. Final Verdict: The Kershaw hop-ups aren’t for the meek or weak of stomach. 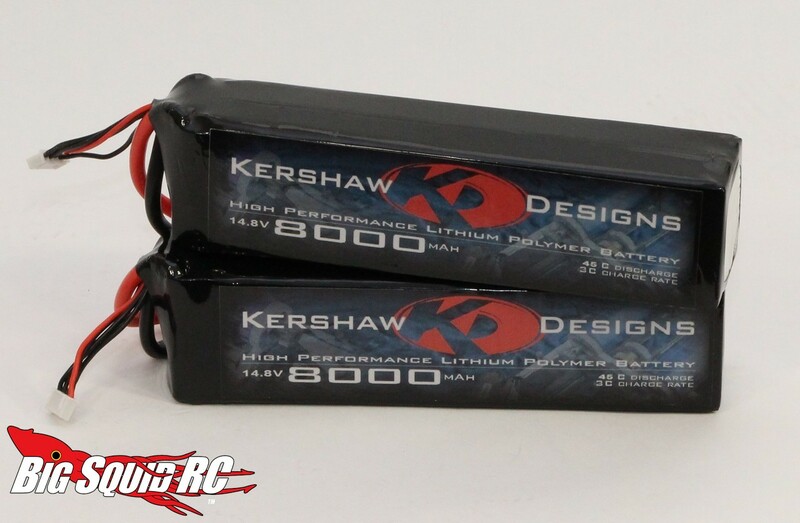 If you are looking for truly outrageous, blow past all your buddies power, the Kershaw hop-ups can certainly do it. 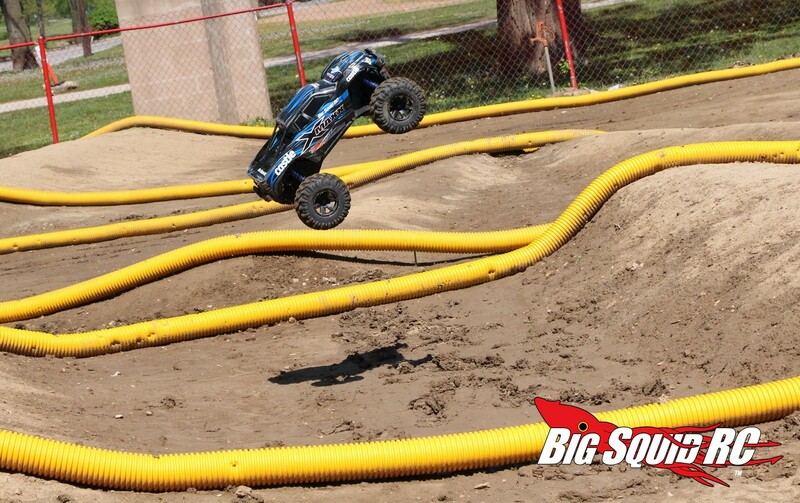 It is the fastest system that we have tested in the X-Maxx and completely overpowers the chassis/tires. 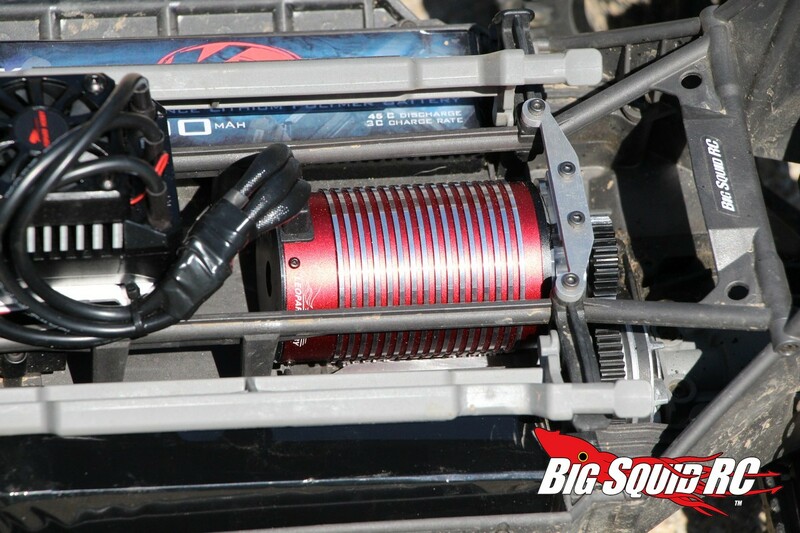 Yes, it can be tamed down by dropping from 8S to 6S or running a smaller pinion, but we were big fans of it full tilt. Also of note, 5th scale electronics are known to be pricey, but the Kershaw gear hits the wallet lighter than just about anything else on the market, another huge plus for those looking for rocket power at a reasonable price. 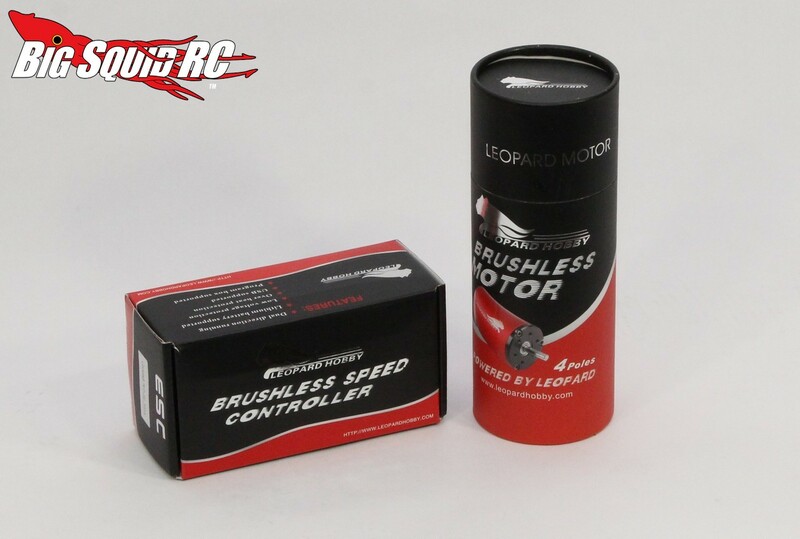 The motor mount was high quality and easy to install, the pinion worked as it should, the Kershaw LiPos ran cool and put out loads of power, and the Leopard brushless system really impressed us. 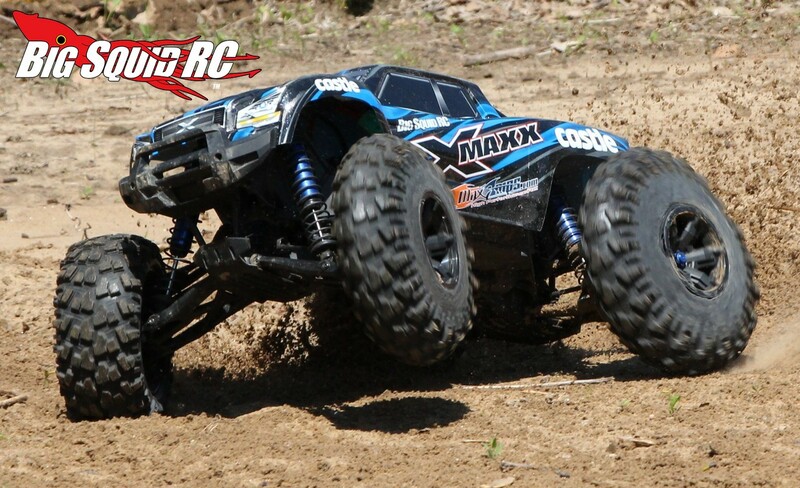 So absolutely, if you are looking to wayyyyy overpower your X-Maxx, we can highly recommend all the Kershaw hop-ups.